Awarded with an honorary degree from the University of Granada, Dr Herrero graduated from the Complutense University of Madrid and obtained her PhD in Mathematics from the Universitat de València. She is currently Professor Emeritus of Economics at the University of Alicante. 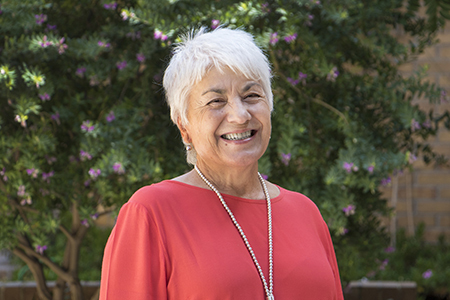 She was awarded with the 2017 Rey Jaime I Prize in Economics. She was President of ASSET (Association of Southern-European Economic Theorists) and member of the Council of the Game Theory Society and of ArbolMat (‘The Math Tree’), a joint initiative of the Royal Spanish Mathematical Society and Universia.